Our food consists of macronutrients and micronutrients. Macronutrients are the foods consumed in large quantities and consist of carbohydrates, fats and proteins. The micronutrients, though essential, are required in small quantity. They include vitamins and minerals. All minerals play important role in our body. Dietary minerals are chemical elements required for various body functions. They are inorganic substances found in soil and rocks. They are classified as major minerals and minor or trace minerals. The major minerals include calcium, phosphorus, sodium, potassium, chloride, sulfur and magnesium. The minor minerals are iron, cobalt, copper, zinc, molybdenum, iodine, selenium, boron and chromium. Their role in metabolic activities is discussed below. 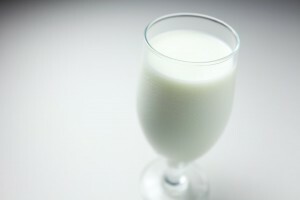 Calcium is required for bone formation and exists as calcium phosphate. A deficiency of calcium increases the excitability of nerves and causes tetany which presents with painful spasm of muscles of hands and feet (carpo-pedal spasm). Calcium is also essential for clotting of blood and helps in the prevention of blood loss during injuries. Phosphorus is present as phosphate inside cells. It exists in bones as calcium phosphate. The mitochondria produce energy during metabolic processes which is stored as adenosine triphosphate and adenosine diphosphate. Sodium is primarily extracellular electrolyte. It is involved with energy generation during metabolism and works along with potassium. Potassium is mainly intracellular and is required for production of energy along with sodium. Calcium is essential for clotting of blood and helps in the prevention of blood loss during injuries. Sulfur is a component of B-group vitamins which have a significant role in growth and metabolism. Dietary sulfur helps to improve the health of skin, hair, nails, joints and connective tissues. Magnesium is required as a catalyst for intracellular enzymatic reactions related to carbohydrate metabolism. This mineral is mainly intracellular and a very minor quantity is present outside the cells. Increased extracellular concentration may result in depression of the nervous system and muscle weakness. Low concentration of magnesium causes hypotension and irritability of nervous system and irregular cardiac rhythm. Iron forms hemoglobin which is responsible for transporting oxygen from lungs to tissues and carbon dioxide from tissues to lungs where it is exhaled. Two thirds of the iron in the body is in the form of hemoglobin and the remaining exists in liver and bone marrow. Cytochrome enzyme system present in the mitochondria of all cells contains iron which is required for oxidation reaction. This reaction is essential for sustaining life. Cobalt is a component of B12 vitamin which plays a role in red blood cell formation. Copper is involved in iron absorption and red cell formation. It is an important component of enzymes responsible for metabolism which result in growth of bones, connective tissue, heart, brain and other organs. It is also responsible for clotting of blood and regulation of nerve transmission. It is essential for wound healing. Zinc is an essential component of many enzymes including carbonic anhydrase. This enzyme is present in red blood cells and helps in combination of carbon dioxide with water which causes release of carbon dioxide gas into the lungs which is then exhaled. Carbonic anhydrase is also present in gastric mucosa, kidney tubules and many other glands. Additionally, zinc is a component of peptidases which digest proteins in the gastrointestinal tract. Molybdenum helps in development of the nervous system and renal function. It is an antioxidant that prevents cancer by protecting cells from free radicals. Iodine is a trace element required for the formation of thyroid hormones. It presests as thyroxine (tetra-iodothyronine) and tri-iodothyronine. They regulate metabolic rate of all systems of the body. In hyperthyroidism, the metabolic rate is high and it is low in hypothyroidism. Iodine supplements are provided in hilly areas to prevent iodine deficiency which presents with goiter (enlarged thyroid gland). Fluorine is required during the formative years of childhood when development of teeth takes place. It prevents dental caries. It gets deposited in the hydroxyapatite crystals of the tooth enamel and blocks the enzymatic destruction of teeth induced by certain trace metals. Excessive intake of fluorine causes fluorosis, which results in mottled teeth. Though the mottled teeth are highly resistant to the development of caries, the structural strength of these teeth is reduced. Selenium promotes the activity of enzymes which prevent oxidant related damage. Minerals keep us healthy as they play multiple functions in all metabolic processes. They are richly available. A wholesome diet which incorporates a variety of food is the best source. In certain situations, supplements are taken with the advice of a nutritionist or physician. ← Can smokeless tobacco cause cancer?